What's your golf resolution for 2015? Write down your goals: There's something official about putting your goals down on paper, be it on a Post-It Note, a regular piece of paper or somewhere on your phone where you can see it. It's a reminder of what you want to do, what you're fighting for on the course. Make 100 practice swings each day: Hank Haney, Tiger Woods' former teacher, suggests this is a great way to make changes in your game stick and feel connected to your motion when you're not on the course. He even says swinging with a shortened club is effective. 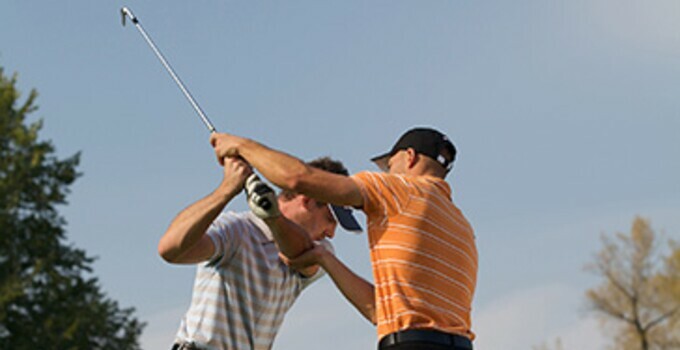 Focus your practice on your goals: Don't be a zombie on the driving range, just hitting golf balls without paying any mind to what you're doing right or wrong. Think about each swing and tinker to find what works and what doesn't. Then take it to the course. Don't be afraid to ask for help: There are so many good PGA and LPGA professionals who are eager to help you with their game. They're an invaluable resource and can be a long-term partner in your improvement. Best of luck in improving your game in 2015, and here's hoping it's your best golf year ever.